and is situated on more than 180 acres of land. the volunteerism of committee chairpersons and club members. 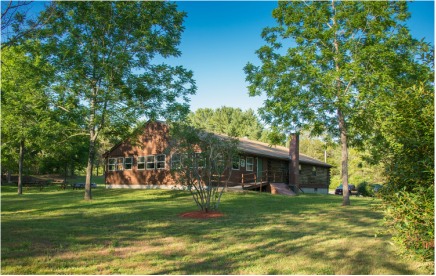 The club property includes numerous gun and archery ranges, two fresh water ponds, hiking trails, camping area, and a club house. The Rod & Gun Club of New Bedford is a private sportsman's club for members only. We are a tax exempt 501(c)(3) not-for-profit organization whose primary activities include hunting and fishing, training in sports, and other social and recreational opportunities. Our organization is an active club with a fairly large membership comprised of more than 700 members. The Rod & Gun Club of New Bedford was founded in 1911 and incorporated in 1936. The club recently celebrated its 100th anniversary.